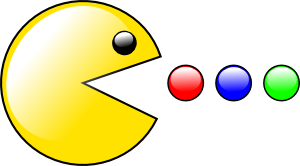 In terms of raw numbers, local government union members stand to be crushed, or perhaps just eaten. There are roughly 14 million unemployed Americans who would love to have local government service jobs, minus collective bargaining. Perhaps the media should poll the unemployed. The bottom line is that it’s better to be gainfully employed than unemployed. 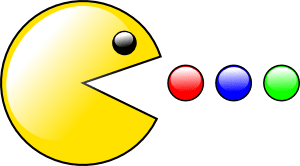 Advice to local government employed union members: Work with your duly elected government officials, or kiss your jobs goodbye. Out of 124 million Americans who are still employed (excluding the incorporated self-employed), only 14.7 million (or 11.9%) are members of unions. 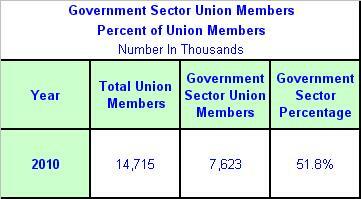 Out of the 14.7 million union members, 7.6 million (or a majority of 51.8%) are government employees. 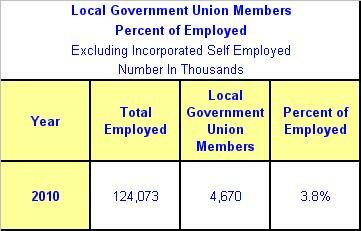 Out of the 7.6 million government employees who are members of unions, 4.7 million (or a majority of 61.3%) are local government employees, while 1.9 million (or 25.8%) are state government employees. Out of 124 million Americans who are still employed (excluding the incorporated self-employed), only 4.7 million (or just 3.8%) are local government employed union members. In terms of numbers, local government employed union members, those who are complaining the most, only represent 3.8% of all American workers (excluding the incorporated self-employed), 3.0% of the roughly 151 million American taxpayers, and 1.5% of the total population. We believe there is more empathy among Americans for the 9.0% of the labor force who are unemployed, and the millions more who have dropped out of the workforce, than there is for local government employed union members. In other words, the pink slips are in the mail.